It is time for a new message. We’ve long understood movies, magazines and television damage young girls’ body image by enforcing a “thin ideal.” However, just how much impact they have was not discovered by me until I found a passion for body activism through Ashley Graham. It was through her talks and further educating myself that one statistic after another kept proving there is clear evidence linking media and social media viewing to body image issues in young women, yet nothing is being done to stop it. Some of the information I stumbled upon was staggering. 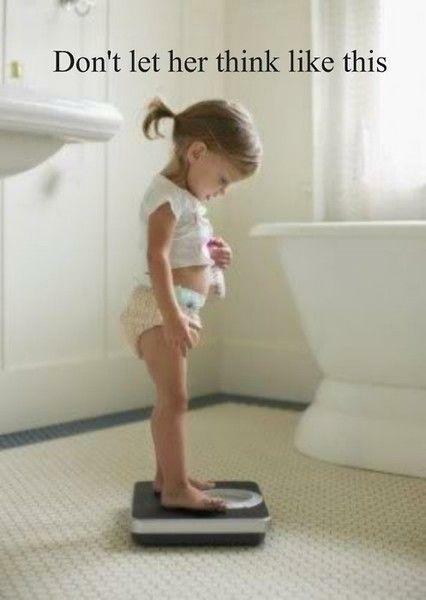 A study conducted found 53% of 13-year-old American girls are unhappy with their bodies. That number grew to 78% by the time they reach 17. Another in Australia found seeing thin models in magazines made girls feel they weren’t pretty, or thin enough. Another, over 80% of 10-year-old American girls are afraid they are fat, and another found over 30% of 10 – 14-year-olds are actively dieting. Dina Borzekowski, a professor at Johns Hopkins School of Public Health notes: “Social media has a stronger impact on children’s body image than traditional media. Messages are more targeted and if the message comes from a friend it is perceived as more credible.” She also emphasized children most at risk are those with more exposure to media messages and less exposure to rational, clear messages from supportive adults. So, how do we, as adults, become that rational, clear voice that overpowers all the other messages young girls are bombarded with? We do it by leading by example. We stop the shame cycle that comes with not fitting “the perfect body” image the fashion or fitness industry deems worthy. We tell girls only 5% of the population can obtain the bodies seen in magazines without the help of being photoshopped. We celebrate our bodies, our imperfections, and cellulite. We radiate confidence by loving who we are and foster self-love from a young age. So, ladies, it is time to give the media a new message. That message is, we, as women, love ourselves just as we are. We love the bodies we stand in! Tammie Rachell Largent is a body image activist empowering women & girls to foster strength of character & embrace their unique individuality. She is a contributing writer for fabUplus Magazine, and has published works on Thrive Global. As someone who suffers from Mastocytosis, she has become a Warrior and advocate for education and research for rare genetics diseases and mast cell disorders. Tammie lives in Indiana and in her spare time you can find her reading, blogging, cooking, traveling and drinking lots of coffee. Before she started writing, she experimented with various occupations: Medical Student, Clinical Data Technical Assistant, scientificating… But her favorite job is the one she’s now doing full time — writing! She can be found at @thebodyistandin on Facebook, Instagram and Twitter or at thebodyistandin.wordpress.com.